Every year, on average, 150000 Indians are diagnosed to be suffering from blood cancers and diseases such as Lymphoma, Myelodysplasia, Thalassaemia, Aplastic anaemia, Sickle cell anaemia etc. For those afflicted, Bone Marrow Transplantation is the last resort. In 2016, however, only around 600 people could go for such transplant, which means that more than 1,40,000 or more people stared at an end with effectively no treatment. But why is it so difficult for patients with the above diseases to avail transplantation treatment? This is because the patient needs matching bone marrow from a healthy donor whose HLA type matches that of the patient. HLA or Human Leucocyte Antigen is specific for each individual and is determined after the laboratory separates his DNA from the blood sample. It is critical for the HLA type to match if transplantation is to be successful. Typically, about 30% of lucky people may find a donor among siblings or close relatives. But in other cases where an unrelated donor has to be found, it is extremely difficult and frightfully expensive. Sometimes even testing 20000 people may not help the hapless patient find a matching donor, and each test costs Rs. 15,000. So, you can imagine the arduousness of finding a match on your own. It is in view of this that the Bangalore Medical College Development Trust (BMC DT), set up in 2005, has established the BMC DT-Infosys Foundation Bone Marrow Registry, where interested individuals can get their HLA typed, completely free of cost. The details of registered donors will be maintained in a database with the Registry. The initial target of the Trust is to build such a database with at least one million HLA typed donors, preferably from diverse ethnic backgrounds, as possible matches are most likely to be found in people of the same race or ethnicity. This typing which costs Rs 15,000 per person is done by highly specialized agencies, following all internationally prescribed norms and using the latest state of the art technology. The costs of the test are borne entirely by the Registry with funds support from primarily the Infosys Foundation, but also BMC alumni and other philanthropic bodies. The donor has to be between 18-50 years, healthy, without HIV, Hepatitis B or other communicable diseases. 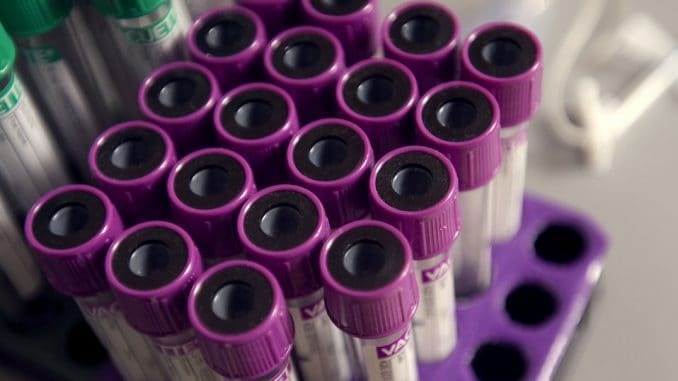 The initial step simply involves collection of a blood sample (3 ml of blood) which is then transported to the laboratory for typing, in accordance with standard procedures. The typing data will be stored in the laboratory and will be shared only with the treating haematologist in case of a subsequent match. It may be months or even years before his HLA matches with that of a patient in need, but the registered individual should be committed to donate when such a situation arises. The Registry is at present organising awareness and donor registration programmes in educational institutions as well as in corporate firms. Their mission is to get an increasing number of people to come forward voluntarily to register and donate blood for HLA typing. Prospective donors are given a consent form which explains in detail what it implies to become a voluntary donor and what actual bone marrow donation entails. Those who are willing will have to fill up and sign the form. Where the programme is arranged for a large number of people, the authorities make a Powerpoint presentation detailing all of the above. While the BMC DT-Infosys Foundation Registry already has 15000 signatures, they wish to take the number to one million. People who may help in arranging awareness and registration campaigns in the institutions they are affiliated with can write to the Registry at bmcbmr@gmail.com or call +91 80 26703202. Individuals keen on signing up for the registry can also contact the same. Dr K M Srinivasa Gowda is Chairman of the Bangalore Medical College Development Trust. He is also a former Registrar of the Rajiv Gandhi University of Health Sciences, Karnataka, a former Principal of KIMS and former Chairman of Bangalore Turf Club.